On 12 June 1888, the Rural Municipality of Belcourt passed a bylaw forming the Baie St. Paul West School District No. 534. 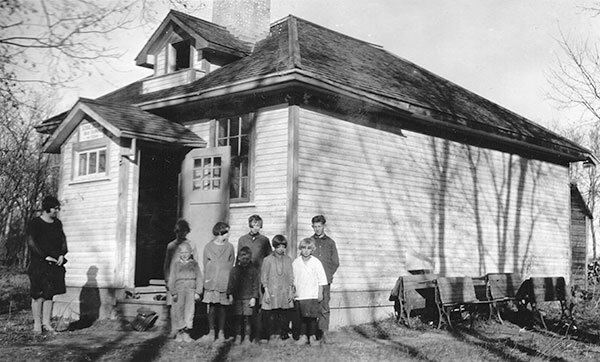 A one-room schoolhouse was built of logs on part of River Lot 137 in the Parish of Baie St. Paul, south of the Assiniboine River. On 5 August 1913 the district was divided and the part north of the river became Belcourt School District No. 1694, keeping the original school building. A new schoolhouse was constructed for this district. It operated on one acre of land in Lot 75 until 1936 when it was moved to two acres of forested land in Lot 83 (about N50.04447, W97.89101). 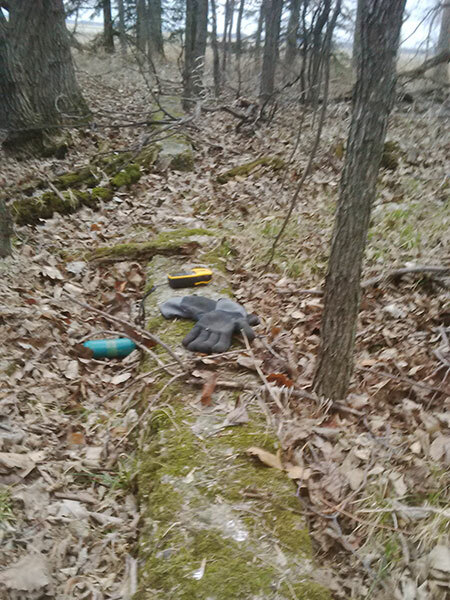 Only its concrete foundation remains at the Lot 75 site. The school closed permanently in 1962 and the district was dissolved the following year. Its catchment area becoming part of the St. Eustache Consolidated School District and later the White Horse Plain School Division. The former school building was sold at auction and moved to St. Eustache (about N49.97556,	W97.76931) where it was renovated into a private residence. The Lot 83 school site reverted to agricultural land. The teachers of Baie St. Paul West School between 1889 and 1897 were Archie McKinnon, Mary Povah, Hugh Blain, A. Emmett, A. M. Nevin, W. G. Bend, and H. F. McKinstry. The teachers between 1898 and 1912 were H. F McKinstry, C. A. D. Têtu, J. Wilson, Thomas Roos, Arme Bourneau, Janet Bannerrnan, Regina Blais, Meta Hill, Marie Beaudin, Ruby Lamb, Rose Perras, Bertha Connor, Marie Louise Beaudin Hogue, Erna Brown, Renée Guilbert, Marina Fargey, Joséphine Breland, Nellie Miner, Ansel Hoskin, Clara Paradis, Bertha Lotten, Ella Gunn, Bernard Thackery, and M. D. Crowe. The teachers between 1914 and 1924 were Agnes Allard (6 years), Philomène Lavallée, Rose Perras, Adrienne Normandeau, Cordellia Toupin, Marguerite Courchaine, H. Laferrière, and Grace Davey. The teachers from 1926 to 1939 were K. Hanley, J. Lachance (4 years), Angela Gillerain (1930-1936), and M. Roberts. The teachers from 1939 to 1962 were E. Hallama, Anna Toupin, Bernadette Perron, Gilberte Allard, Juliette Lacroix, Lucille Leclerc, Dolores Carrière, Thérèse Allard, Lillian Duprey, Reine Régnieç, Bernice Houde, Odette Jobin, Yvette Allard, Viola Dufresne, Léda Lapointe, Thérèse Girard, Léa D’Hoore, Alice Prairie, and Joseph Zatylny. GR8461, A0233, C131-1, page 86. This page was prepared by Mike Stainton and Gordon Goldsborough.